Satellite City was founded by a father and son, Bob and Bill Hunter. The name, Satellite City, comes from the Free Flight competition series called the Satellite, designed by Bob in 1957 and then redesigned in 1970 by both Bill and Bob. These models were extremely successful in competition and some are still used today. Bob and Bill saw a need for an instant adhesive that could be used to quickly build and repair their free-flight model airplanes. Starting in 1970, they began offering cyanoacrylate instant glues to the hobby market and revolutionized model building. Gone were the days of pinning and waiting an eternity for the adhesive to dry. With Hot Stuff glues, permanent bonds could be made in a matter of seconds, not hours. They also produced a two-part video series on techniques for using the products in model-building. 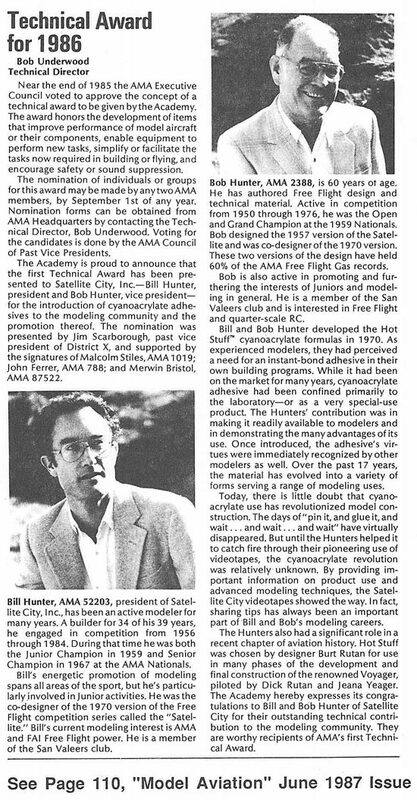 In 1986 both men were honored with the first Academy of Model Aeronautics Technical Awards for their "outstanding technical contribution to the modeling community." 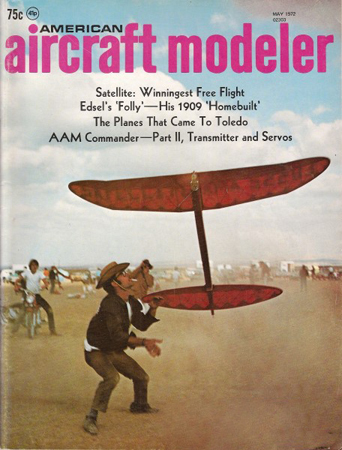 Although Satellite City products were widely applauded by hobbyists, the appeal of Hot Stuff was not limited to model airplanes. The speed, strength, and reliability of Satellite City adhesives impressed people from many industries, and before long, Hot Stuff was being used in even the most demanding applications. 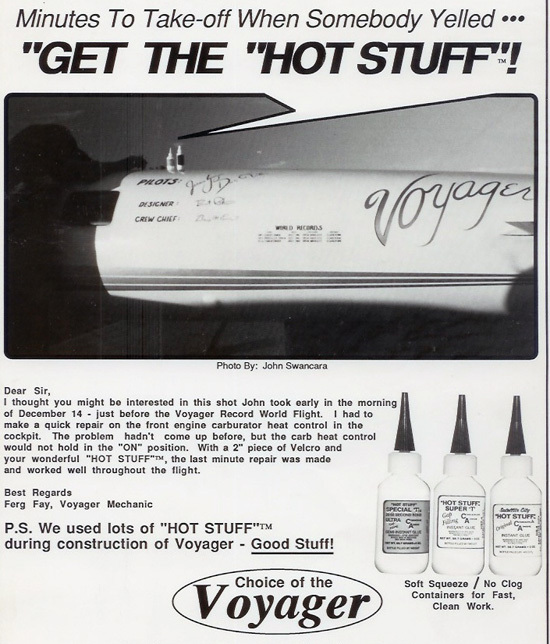 On December 14, 1986, the Model 76 Voyager stunned the world when it became the first aircraft to fly all the way around the world without stopping or refueling, and Satellite City was proud to be a supplier to the project and was honored again to be a supplier for Scaled Composites' Spaceship One which completed the first privately funded spaceflight on June 21, 2004. Bob and Bill have passed on, but the company's spirit is alive and well. Led by Glenn Hunter, Bill's son and Bob's grandson, Satellite City continues to offer the unbeatable instant glues professionals have trusted for decades with fast and friendly customer service.